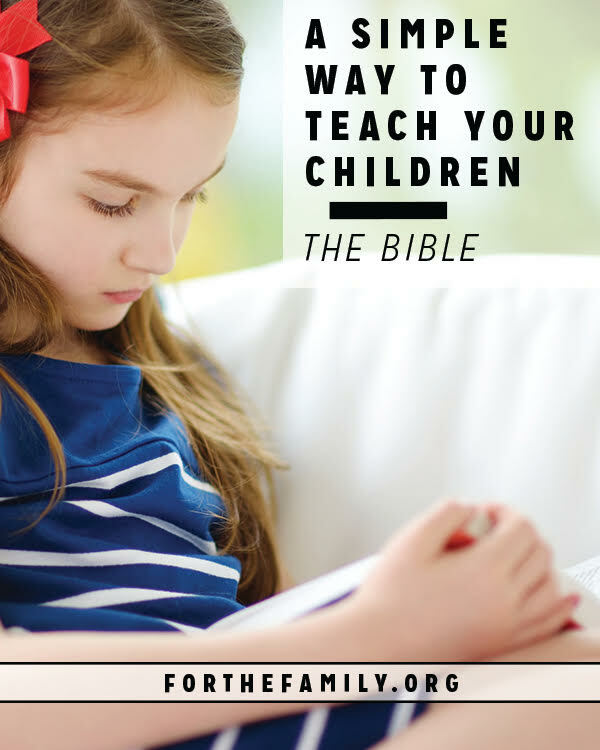 Have you ever felt overwhelmed by teaching or training your children in God’s Word? Does busyness ever interfere with Bible-time in your family? Has it all just felt kind of complicated at times? Like most parents, we have struggled with some (if not all) of those challenges. We wanted a resource for teaching our kids the Bible without the clutter and complexity. They had “outgrown” most children’s Bibles, but weren’t quite old enough, for others. 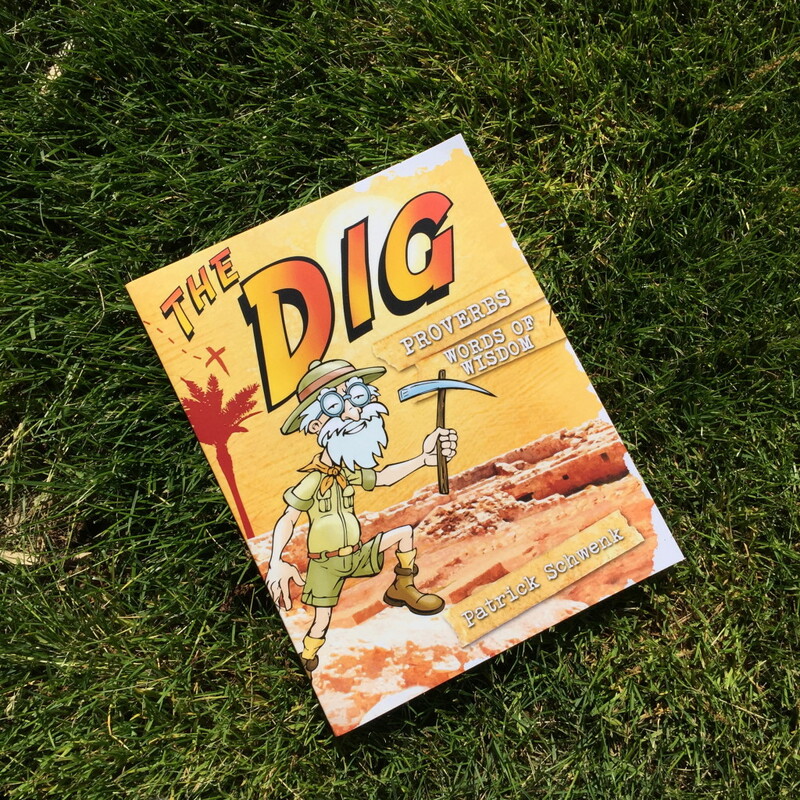 So I wrote a devotional for parents and kids called The Dig! 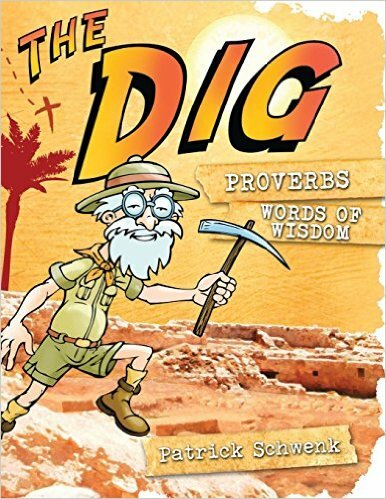 The Dig is a simple and systematic way for parents to take their children through different books of the Bible. It is primarily for 1st-5th grade children (those “in-between” years). The Map: The Map tells you and your child where you’ll be going in each lesson. It is a short summary of the study ahead. 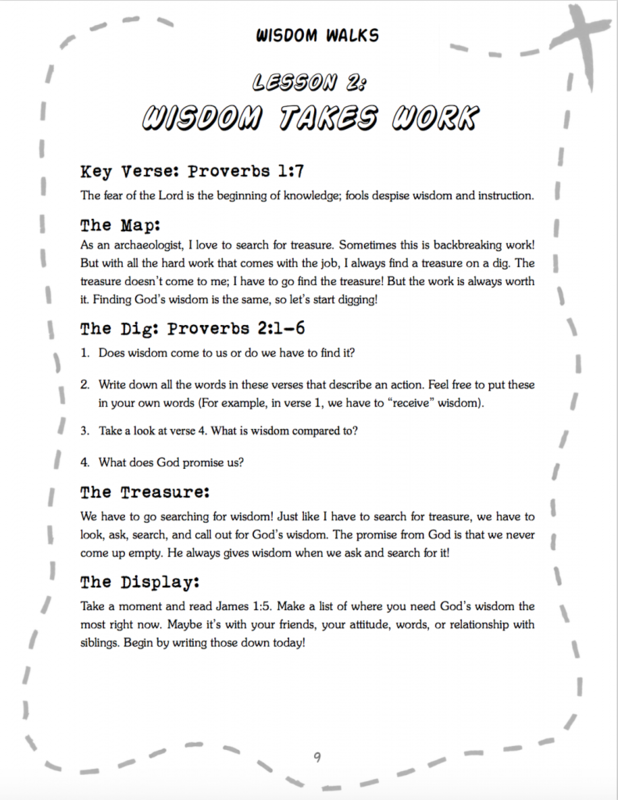 The Dig: The Dig is the main passage you will be studying. Following each passage will be several questions designed to help conversation and understanding. They are meant to be a guide. You can use them or tweak them to help you talk with your children. The Treasure: The Treasure is the big idea of each lesson. In a short statement, it is what you want your child to remember from the passage you studied. The Display: When an archaeologist finds a treasure, they will clean it up and put it on display for everyone to see. This is the basic idea of the Display. It is the application of the Treasure you have found! After every six lessons, there is an Oasis (review page) and Oasis Activity (something fun to do). Training or teaching your child doesn’t have to feel like a burden (we know it’s not always easy). It can be fun, informative, and simple. More than anything, we hope that studying God’s Word helps children come to know and love Jesus as their Savior! More than just information, we pray it leads to real and lasting transformation. 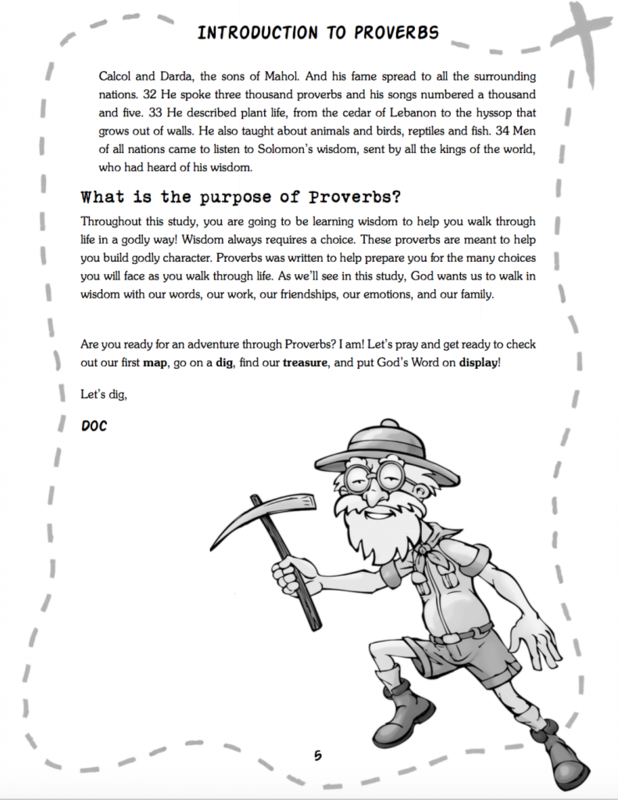 We have a special on The Dig for Kids Proverbs right now! Grab your copy on Amazon HERE. 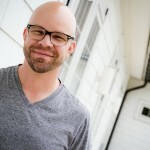 Patrick Schwenk is a father, husband, pastor, and author of The Dig for Kids and The Warrior Weekend. Patrick and his wife Ruth are the founders of For the Family. They met while attending the Moody Bible Institute in Chicago, IL, have been married for sixteen years and currently have four children ages five to thirteen. They love serving in ministry, spending time together as a family, reading, drinking lots of coffee, and resting in God’s grace.